US-62 Marshall County Roadway Improvements - Bacon Farmer Workman Engineering & Testing Inc. 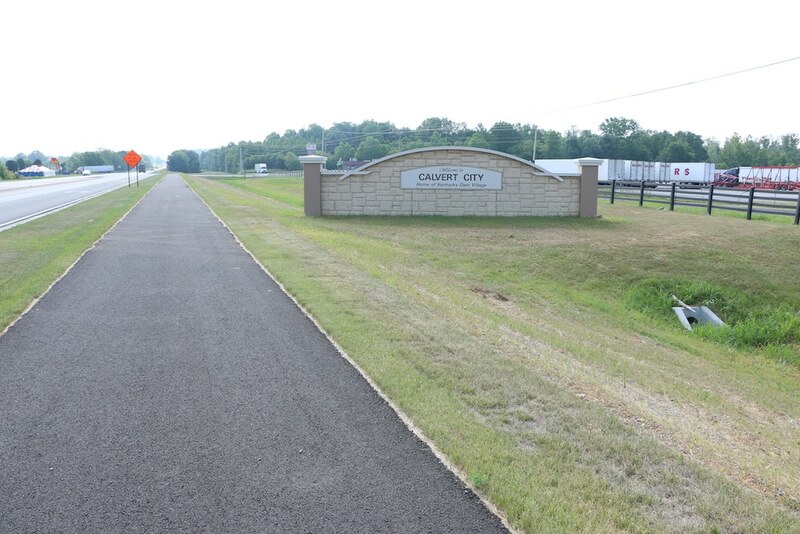 The project is located in a rural area and lacks provisions for pedestrian or bicyclist that would help to improve connectivity in this area. 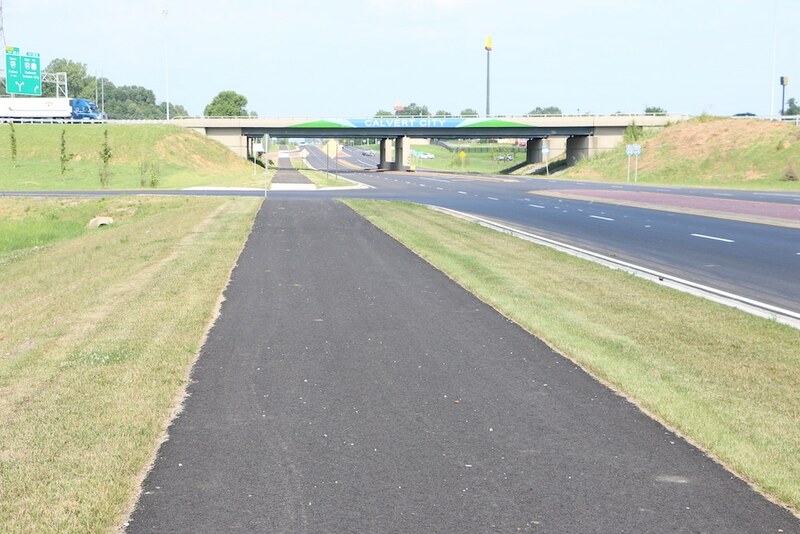 The existing bicyclists comfort index (BCI) average rating is a level D.
Within the project limits, a new multi-use path will be provided along the south side of US 62 for pedestrians and bicyclists. 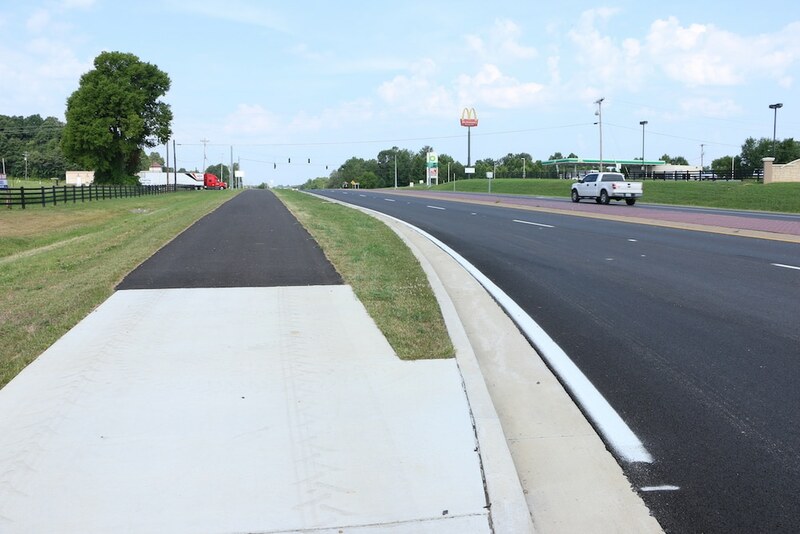 This project’s new multi-use path will connect to the proposed US 62 pedestrian / bicycle facility currently under construction at the I-24 / I-69 (EXIT 27) interchange. 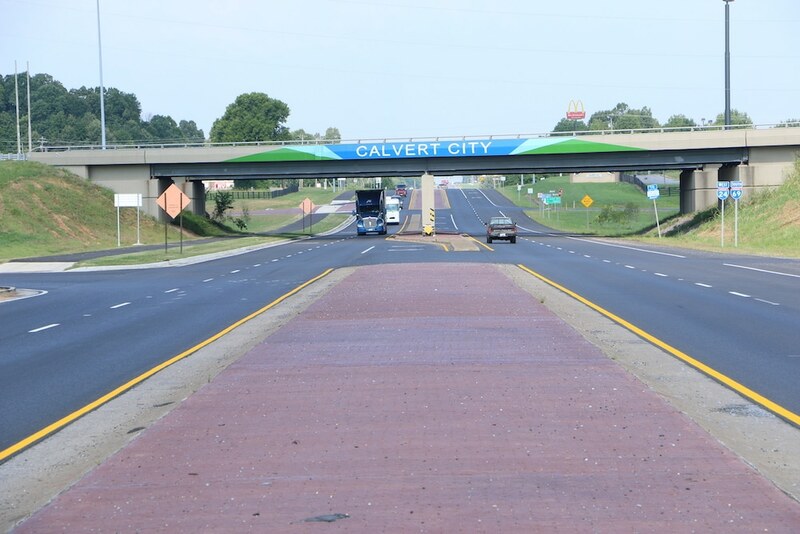 Ultimately, the multi-use path created by the project not only provides connectivity to the Calvert City Park System but also offers opportunity to connect with the existing multi-use path crossing on Kentucky Dam. Eventually, there is opportunity for the path to be continued east to connect with existing paths in the Land Between the Lakes (LBL). Plan included landscaping plans, interpretive signing, Interstate 69/24 gateway studies, proposed rest areas and parking, and trail head identifications. A landscaped boulevard was introduced in the plan on US 62 to be compatible with the multi-use path concepts parallel to US 62 to the park. Conceptual themes were offered to city and state officials for consideration as marketing and branding tools for the community.